Access Pollywood: Kennedy Center Honors Tina Fey Laughter abounded at the Kennedy Center as Tina Fey received the 13th annual Mark Twain Award. Society 2.0: This Week’s Top “Status” Report This week was all about Gleeks, the start of summer, the continuing BP disaster, free donuts, a Beatle, a Golden Girl, and ...the 20 Hottest Conservative Women? Check out the top tweets ringing in the month of June. Tina Fey with Husband Jeff Richmond. Photo by Kyle Samperton. Laughter abounded at the Kennedy Center as Tina Fey received the 13th annual Mark Twain Award. FUNNY LADY: “Saturday Night Live” sensation and “30 Rock” star Tina Fey was everything the Kennedy Center could have hoped for as recipient of the 13th annual Mark Twain Award for humor and not just because the event raised a cool $1.3 million for programs, performances and outreach. This year also marked the first time the prize was presented to someone so young (Fey is 40). Previous awardees, usally at the end of long careers, have included Jonathan Winters, Bob Newhart, Carl Reiner, Lily Tomlin, and Bill Cosby. FUNNY NIGHT: The Concert Hall was jammed with fans eager to see Tina’s friends and fellow comics roast and salute her, including Steve Martin, Jimmy Fallon, Lorne Michaels, Tracy Morgan, Amy Poehler, and the irrepressible Betty White. Fey took the stage, glamorous in a black Oscar de la Renta, her hair in an uncharacteristic upsweep. Highlighting the evening was an elegant dinner in the Kennedy Center Atrium with such committed patrons as Victoria Reggie Kennedy, Jean Kennedy Smith,Jacqueline Mars, Adrienne Arsht, Bob Barnett, as well as Rita Braver, Susan Eisenhower, and Sharon Rockefeller. INTERERESTING ASIDE: The event occurred on the same date that John F. Kennedy was announced the elected president 50 years before. This year also marked the 100th anniversary of Mark Twain’s death. Actress Amy Poehler. Photo by Kyle Samperton. 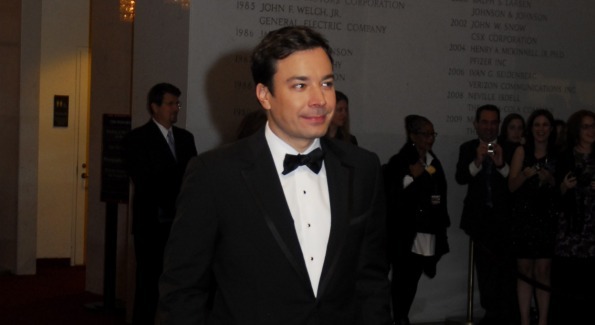 Actor Jimmy Fallon. Photo by Kyle Samperton. 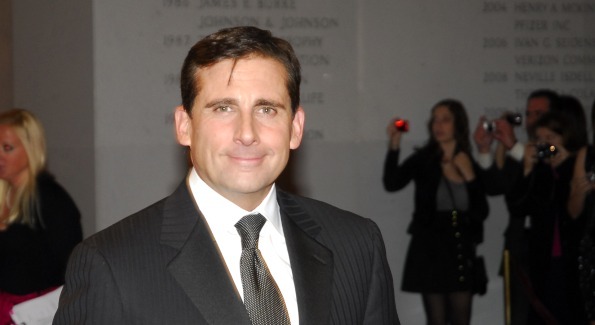 Actor Steve Carell. Photo by Kyle Samperton. 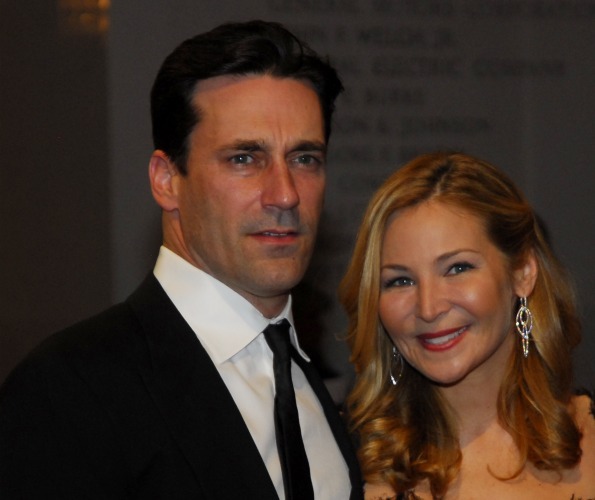 John Hamm and Jennifer Westfeldt. Photo by Kyle Samperton. 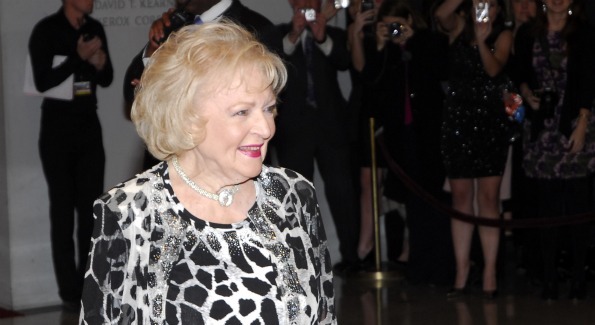 Actress Betty White. Photo by Kyle Samperton.